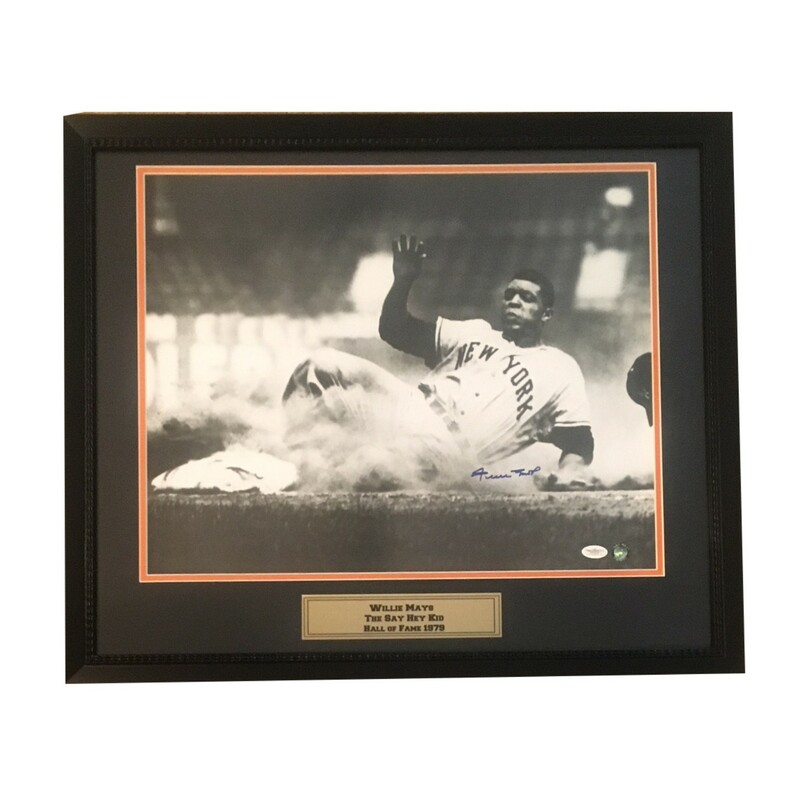 San Francisco Giants legend Willie Mays has signed this unique black and white 16x20 photo of him sliding into the base. Such an iconic image! Frame measure 20x24 and comes ready to hang. 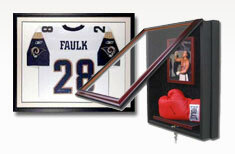 Autograph is authenticated by James Spence Authentication (JSA) the world’s leading authenticator of sports autographs. Comes with their unique sticker # fixed to the item and verified on their website. Item is also authenticated by Mays himself with his own authenticity hologram. Please note, the JSA card is missing, however, the # is verified on their website. Receive EXACT item shown.